"North Shore in the North West"
Oatlands is a nice safe area. Too many trees though. People can be a little snobby but this area is quite high class. Most of my time I’m in Sydney’s North Shore and I notice the similarities in both areas. I’d recommend living here. And also Oatlands has a nice view of Parramatta CBD. "Parramatta + Bush = Oatlands"
Oatlands is a beautiful leafy suburb adjoining North Parramatta. The area has excellent local shops and easy access to Kings, Tara schools etc. also the properties are well maintained. However, there is several issues with Oatlands. Firstly, you will hear very loud trucks braking throughout the night even if you live up to 1KM from Pennant Hills Rd - it is bad! Until you live in the area you won't realise how frustrating it can become. Secondly, there is still a large volume of housing commission in Telopea / Dundas and it is common knowledge that Oatlands is targeted for robbery. Ultimately Oatlands is seriously overpriced you are paying north shore pricing to live in what is essentially Parramatta. If your children attend one of the nearby private schools it may still be a viable option though. 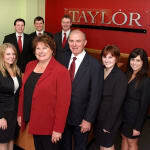 Local tip: avoid Taylor's Real Estate as we have had no end to dramas dealing with them. Prestigious area ,great area to bring up your children. "A place for family life"
No beach for you here, neither traffic. A quiet and peaceful place right for a real family life, esp. those with kids. Funny suburb to live in but nice. Has two real extremes with some super wealthy people in the area (especially because of the fairly prestigeous shools, which can be annoying) and also regular people. Probably can be a little overpriced though because of the prestigious tag. Close to Parramatta and Carlingford which is handy. One of the nice parts of the area to live in, although can depend which part you are in. You get lot of people from out of the area with the golf course and schools, which occasionally be a pain for traffic. We lived in Oatlands from 2001 till 2007 and moved to QLD, we regret leaving Oatlands. It just has such a great feel to it, it is such a beautiful little quiet suburb hidden away, lots of tree lined streets. There are lots of beautiful homes and the prestigious Oatlands Golf Course and Private Schools. Cannot wait to move back to walk my dog around Oatlands. If you're driving along Pennant Hills Rd or Kissing Point Rd you could easily miss the suburb of Oatlands, but if you turn into one of the streets you will soon discover a hidden gem of a suburb. Sitting high above all it's neighbouring suburbs, most of the streets in Oatlands have a great outlook. The suburb is filled with trees and greenery. The people in the neighbourhood are friendly and it's a great suburb for families with kids. Many of the homes in the area are architecturally designed and the suburb is infamous for it's Golf Course, which adds to the prestige of the area. The Oatlands Village is equipped with all the shops and facilities you need and the schools in the suburb are some of the best in the state, especially Kings College & Tara Anglican private schools. Oatlands is a fantastic choice for home owners and a wiser choice for investors. The long term trend for prices in the area continues to increase. It's just minutes from Victoria Rd, and once there, the Sydney CBD is less than 20kms away. Parramatta CBD is on the doorstep of the suburb and is accessible by foot, public transport or a short drive. Oatlands is a beautiful suburb with so much on offer. "For All Your Oatlands Questions..."
If you want to know anything about the wonderful suburb of Oatlands, be sure to give your area specialists a call! For Multi-Award Winning Service call Taylor Real Estate on 9630 2791. Having been established within Oatlands for over 12 years you can trust we are the local area experts. "A wonderful part of the world." Oatlands is a fantastic quiet neighbourhood to bring up a family, especially being so close to so many prestigious schools. "Wonderful Oasis minutes to Parramatta"
Beautiful spot, close to Parramatta, but with the feeling of a Killara or Lindfield. Top tier golf course, amazing properties and some of the best schools in all of Sydney a stone throw away. Phenomenal location that eclipses Beecroft and Cheltenham. "Leafy and quiet suburb with lots of potential"
Which is the best real estate agent in Oatlands?